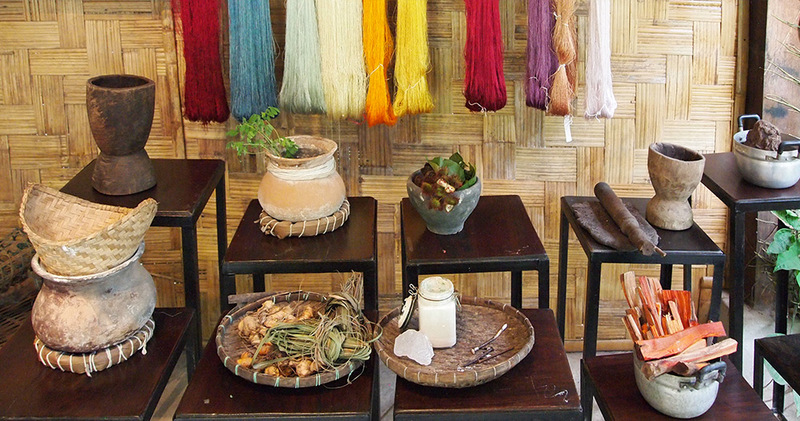 5-day handicraft journey in Luang Prabang meeting experimented people. 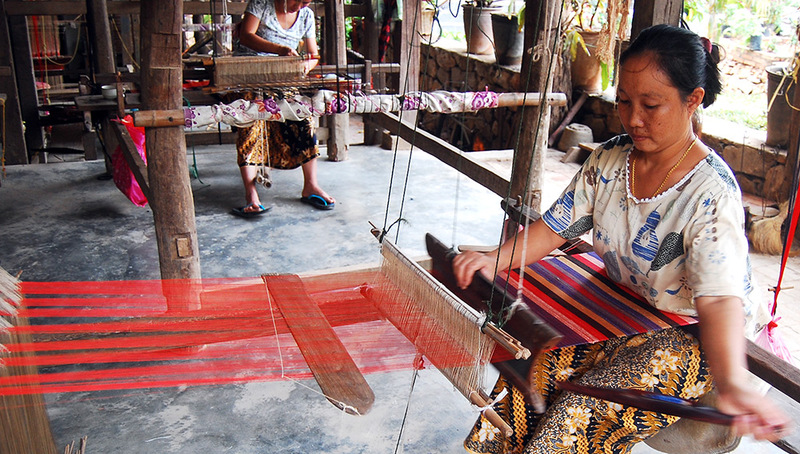 This five-day tour around Luang Prabang will bring you to ethnic villages specializing in the local traditional products hndicraft, especially weaving whose arts have always been very important in the former royal capital of Laos. 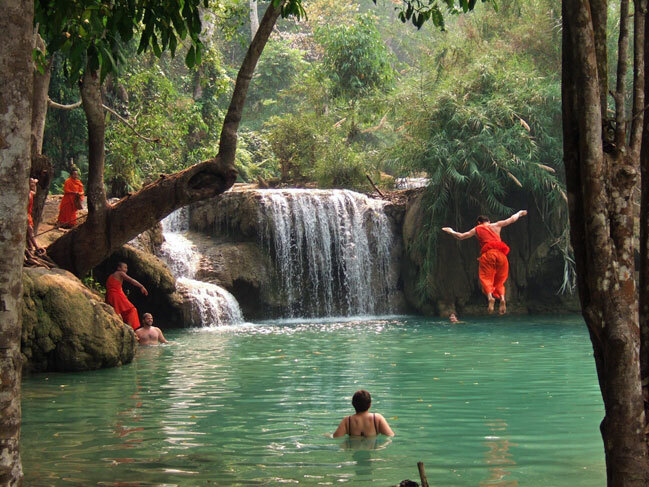 Your guide will meet you at 8.30 am at your hotel for this first day in Luang Prabang, classified World Heritage of Humanity in 1995. First, we will discover ithe pagoda of Wat Xieng Thong, with the architecture so singular with the roofs grazing the ground. Then we will visit the National Museum, former Royal Palace of the Kingdom of the Million Elephants, where the royal family stayed until the 1975 events. Then climb Mount Phousy, which offers a magnificent panoramic view of the whole area under a particularly favourable light at the end of the day. 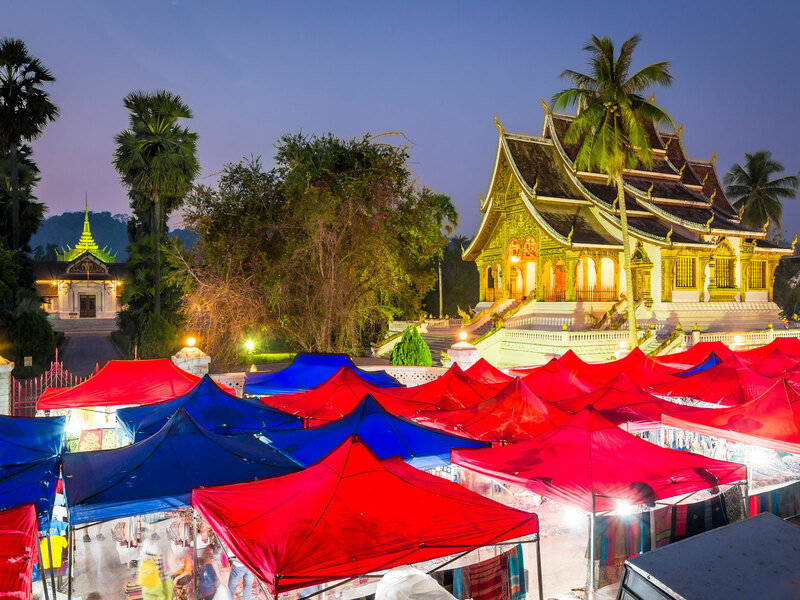 We will finish this day with a visit to the night market which centralizes products of the local crafts made by the villages of different ethnic groups living around Luang Prabang. Your guide will arrive at your hotel at 8.30 am for a 2nd day oriented towards the craftsmen. We will begin this day with the visit of TAEC (Traditional Art & Ethnology Center) and its heterogeneous collection of well-documented pieces. 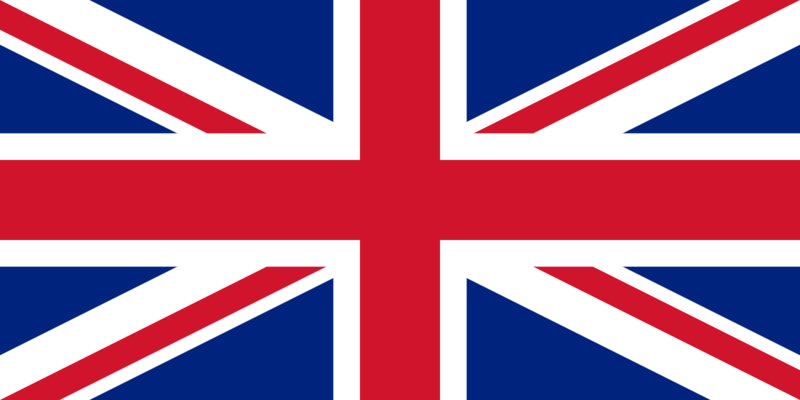 (Centre closed on Monday). 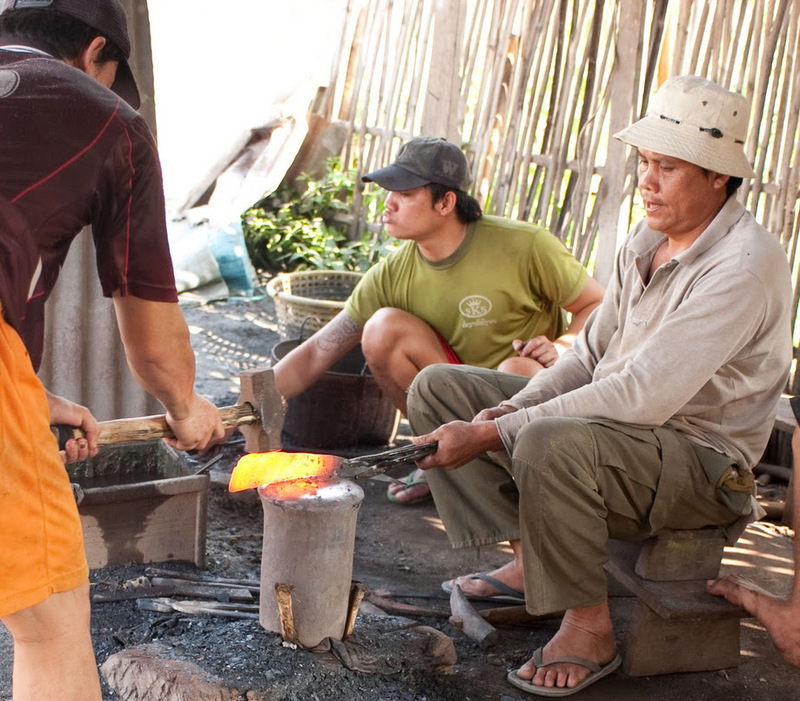 We will continue with a visit to the blacksmith village of Ban Hat Hien, historically specialized in the making of the local machete (Pha), indispensable tool for all Laotians. Today, there are only 3 families producing these items that are more and more "imported" from the northern regions of Laos. 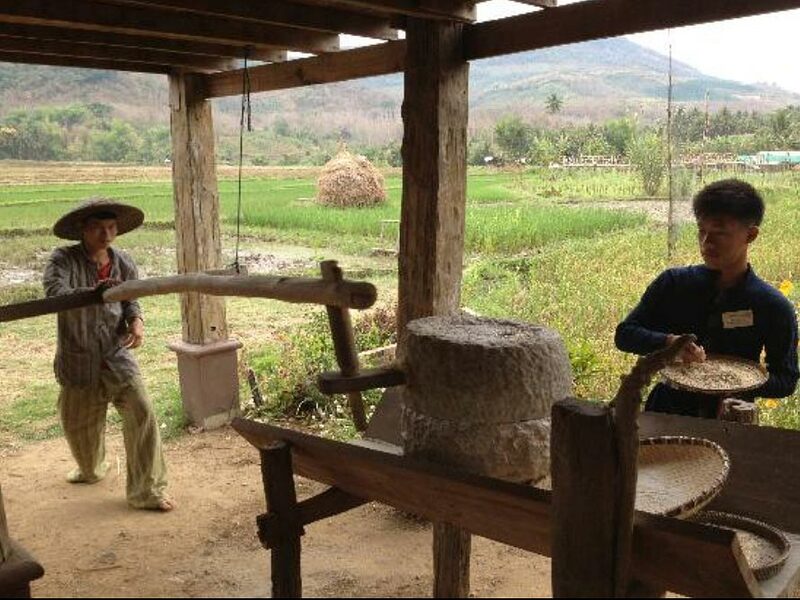 Then visit the village of Ban Xang Khong, specializing in the production of Saa paper (obtained after crushing the bark of the Saa tree) and used in particular to produce the books used to collect the sacred Buddhist texts still written in Pali (the ancient Indian language). 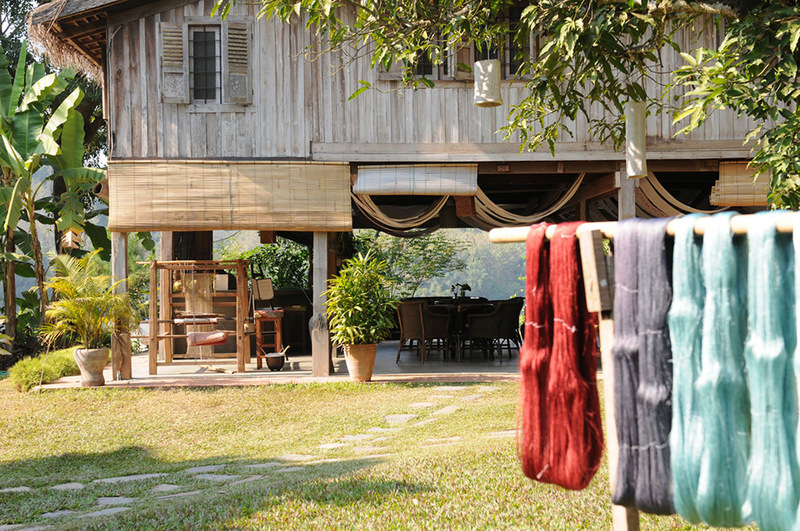 This village is also specialized in silk products, with both traditional motifs and new contemporary creations. 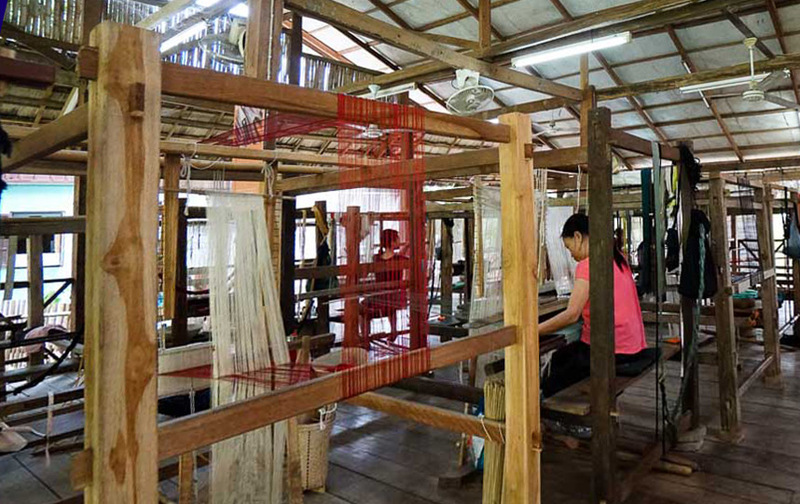 After lunch, visit to the village of Ban Phanom, specializing in the manufacture of cotton-weaving and silk-weavings, used in the old days by the royal family. On the way back, we will stop at Wat Phon Phao temple, unique in Laos by its architectural style with a 4 floors vihan, decorated by special paintings representing all the architectural styles of the Buddhist countries. This temple is also a singular one because it houses an important community of women. Notice also that this temple is also one of the Vipassana Meditation Centre. 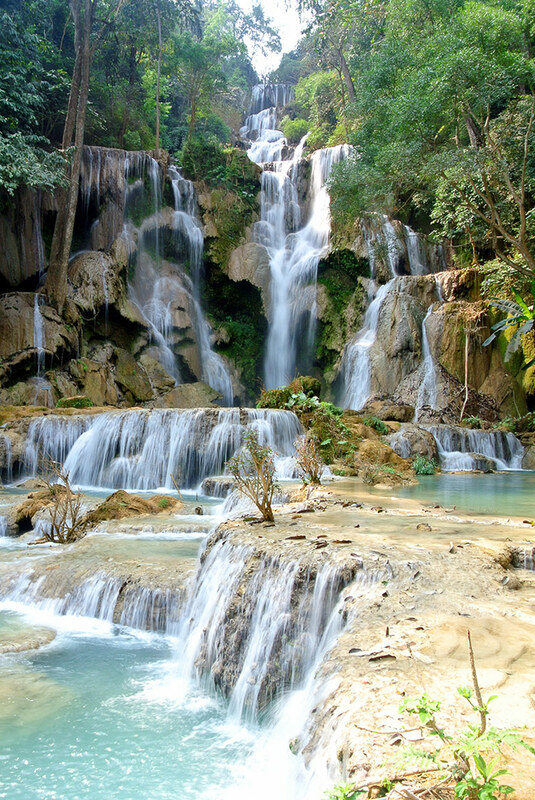 Return to the center of Luang Prabang before sunset, and transfer to the hotel. 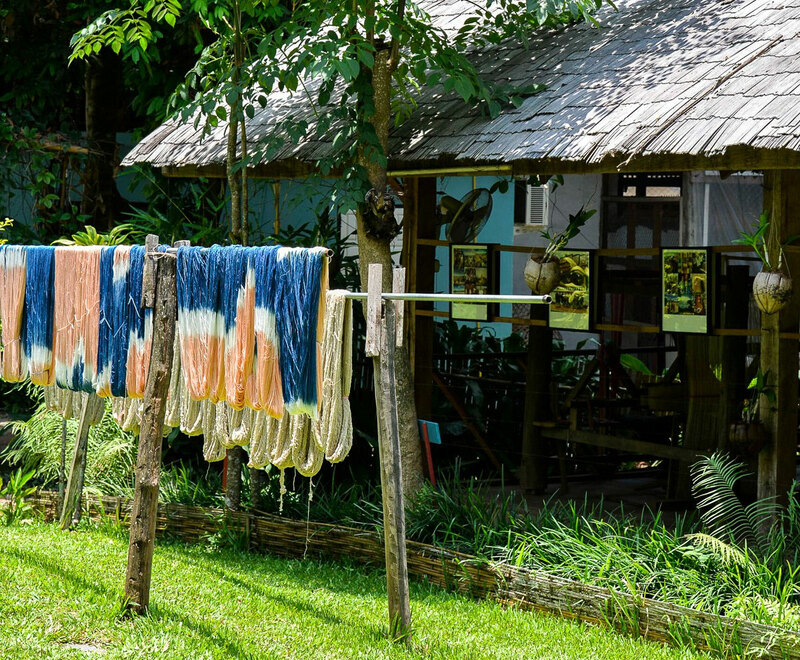 You will spend the day, lunch included, in the centre, in the company of weavers and local weavers and will be able to keep the fruit of your work. In the late afternoon, we will go to the local bakery still fuelled with wood and coal. Besides the bakery, we can also go to one of the 2 lacquer shops of the city to admire the local productions mainly intended for the Buddhist rites. At sunrise, your guide will join you at your hotel to accompany you and to explain the daily singular ritual of the Offerings to the monks. Then we will pace the morning market where all the ethnic groups around are gathering back the products of hunting, fishing and gathering. 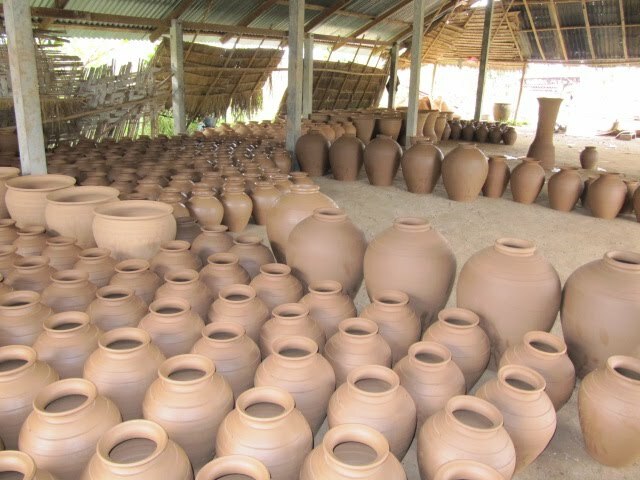 Notice that Laotians are very fond of these products, and ready to pay high prices. Return to your hotel for breakfast. 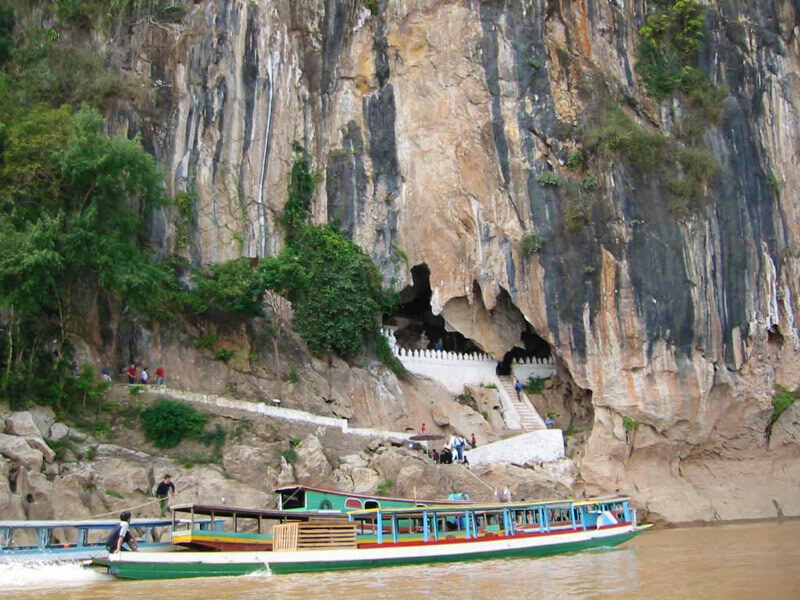 We then go to the boat peer for a 1-day cruise the Mekong River with a traditional privatized long tail boat. First stop at the end of the morning, at the sacred caves of Pak Ou, located 2 hours of navigation upstream of Luang prabang. 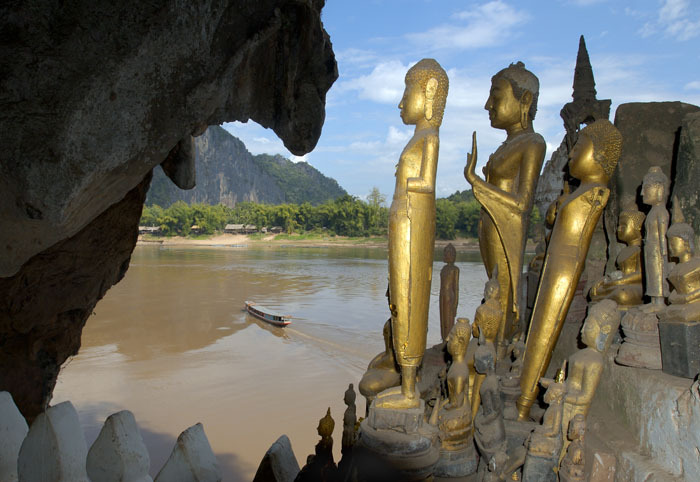 Visit the 2 caves gathering hundreds of representations of Buddha in earth, in stone, in wood covered with gold leaf. 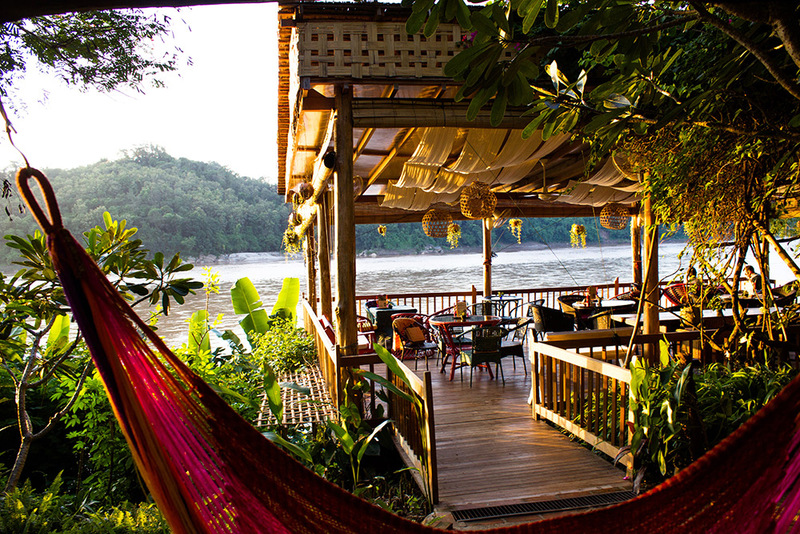 Lunch at a local restaurant in Pak Ou village, on the bank of the Mekong, overlooking the caves. On the way back, we will stop for a tour of the village producing local rice alcohol, the Laolao, a kind of sake in which medicinal plants or animals considered potent and dangerous sometimes macerate. 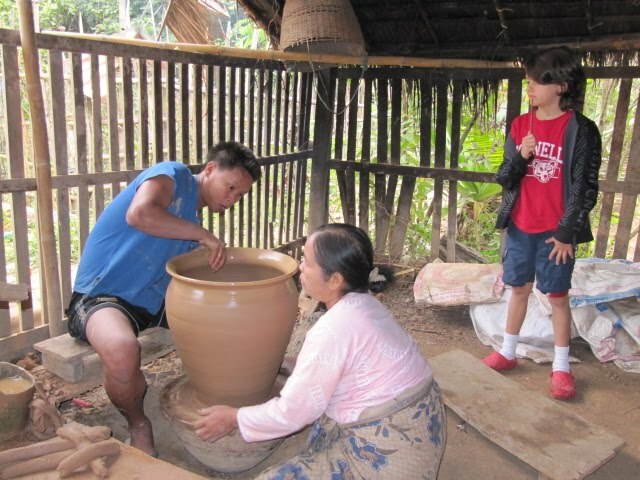 Then we continue our cruise downstream after Luang Prabang, to the village of potters specializing in making bricks and local pots in Luang Prabang. 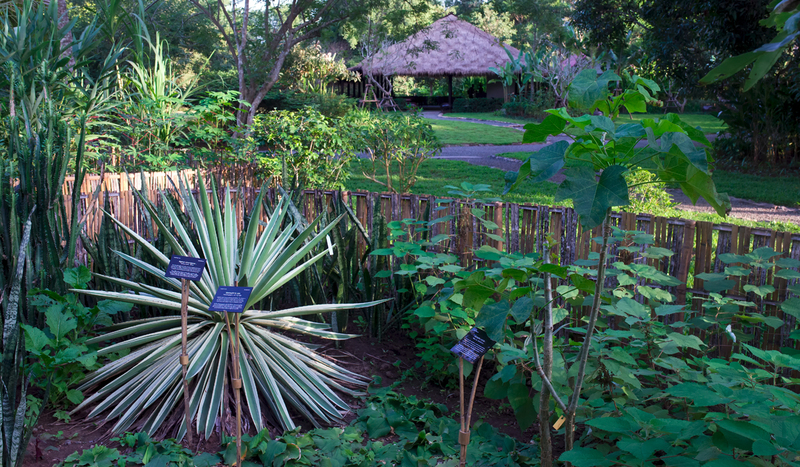 A little further downstream, we will end this day with a visit to the botanical garden and its extraordinary local collections of bamboo and orchids. 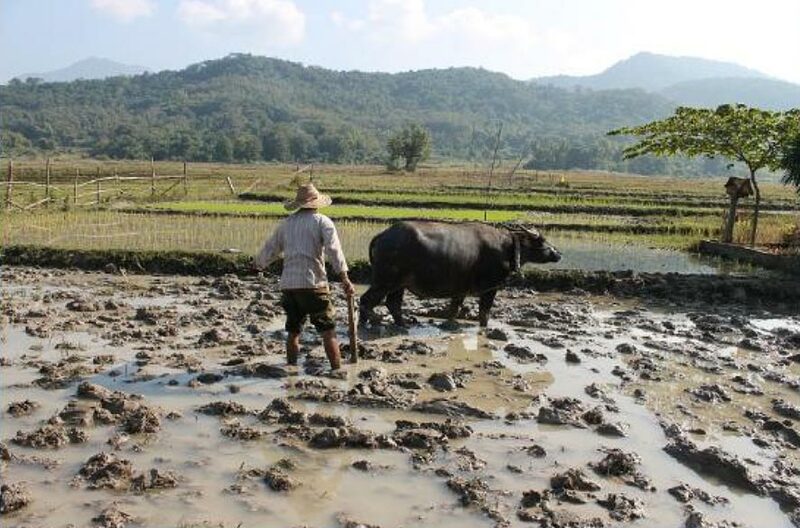 At 8:30, your guide will come to your hotel to start a day meeting the producers of rice and organic vegetables. During 3 hours, you will follow an introduction to all the stages of growing and preparation of rice. 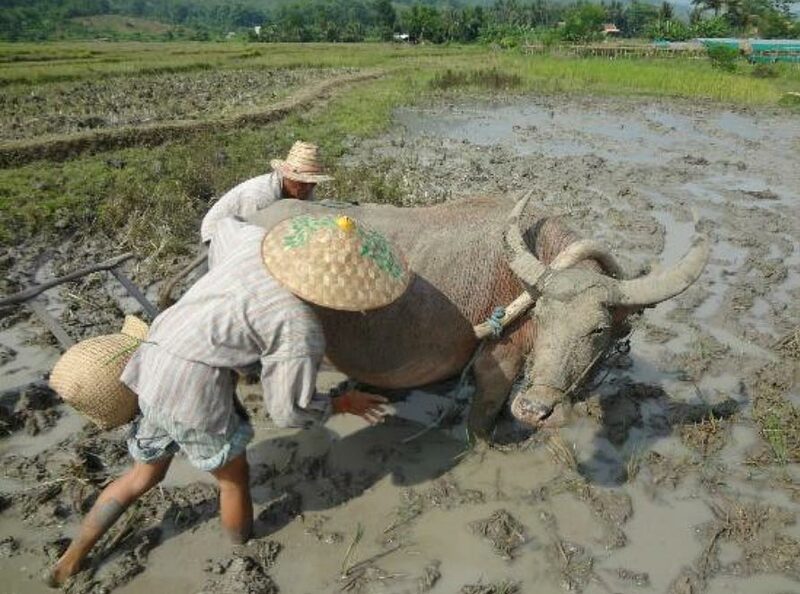 You will enjoy experimenting yourself, including feet in the mud to dry the buffalo when plowing, planting and transplanting of shoots, turn the grain in flour. You will finish this morning by tasting some rice products whose variations are so numerous. Lunch in the Carpe Diem restaurant, surrounded by small waterfalls. 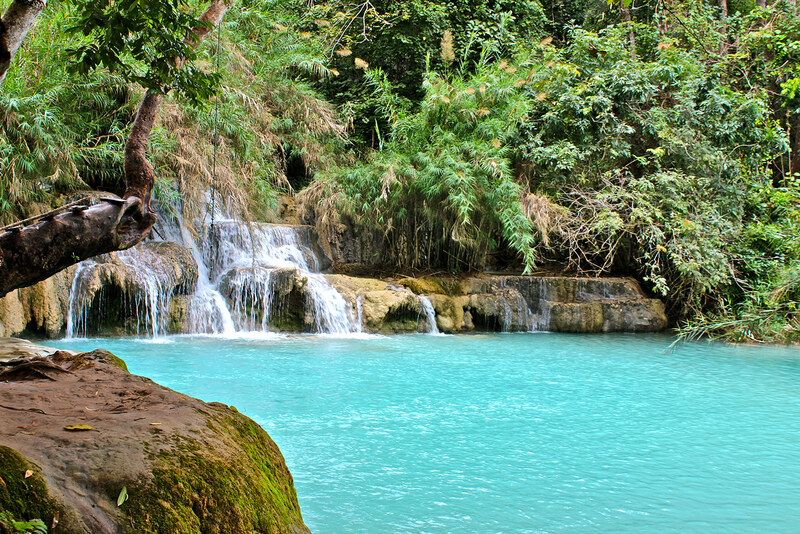 Afternoon relaxation at Kuang Si Falls. Visit the Park of rescue Bear, and get a swim in one of the many natural pools with fresh and turquoise water. Return afterwards, before sunset, and transfer to the hotel.